It’s one reason personalized fitness centers have been surging in popularity. That along with top of the line trainers, state-of-the-art equipment and facilities and our quest to keep things challenging. Almost half of the 54 million members who belong to health and fitness facilities in the U.S. are members of fitness boutiques, or personalized fitness studios, according to a report by the International Health, Racquet & Sportsclub Association. And in Pittsburgh, more of these unique fitness facilities are opening all over the city, giving the fitness buff more options than ever and making it easier to get and stay in shape. Hey, we all need motivation. For those eager to break out of the traditional “big box” gym, give one of these five specialized fitness centers in Pittsburgh a try. Cirque du Soleil at a gym near you? Not quite but it could be the next best thing as former performer Mark Freeman is on hand to teach the strength and conditioning classes at Fullbody™ Fitness Club – one of the most fun and innovative fitness centers in the city. Enjoy the beauty, stamina and grace of aerial silk or hoop classes–and don’t worry; you start on the floor before advancing to the top. If you prefer two feet on the ground at all times, they offer two classes worth checking out: their Hip Hop Dance Master Class or PiYo class, which combines the muscle sculpting of Pilates with the flexibility of yoga. Fullbody™ Fitness Club will be the first fitness center in the city to offer Caberret Fit, a class that combines ballet style strength and toning exercises with burlesque style cardio dance. 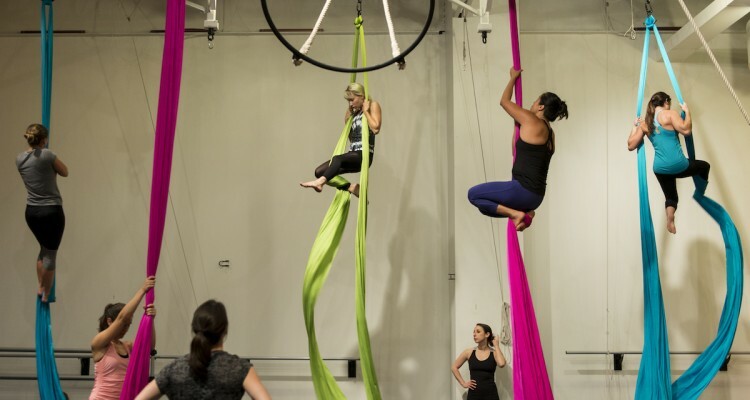 The private fitness studio is owned by two professional Iron City Aerial performers, Kelsey Keller and Jenly Deiter, who work by the mantra: no more boring workouts! Good time to check this place out is the Fall in Fitness Free Week October 1 – 7. Advanced training at Stout. Photo courtesy of Stout Training. You’ve probably watched enough Ultimate Fighting Championship (UFC) fights to know that mixed martial arts is just really cool. Stout Training is Pittsburgh’s only Brazilian Jiu-Jitsu gym affiliated with a member of the Renzo Gracie family, the founding family of Brazilian Jiu-Jitsu and UFC! Here’s your chance to learn Brazilian Jiu-Jitsu and Muay Thai kickboxing. And while lessons are available at most levels (teens must be at least 14 to participate in Muay Thai kickboxing), black belts and serious competitors will enjoy their advanced classes. And, Stout Training is Pittsburgh’s first and only training facility to offer a dedicated youth Brazilian Jiu-Jitsu program. They offer classes based on your child’s age group, starting with a “Little Super Heroes” class for ages 3 to 5. Stout Training also hosts and sponsors events in the industry throughout the year including a recent Brazilian Jiu-Jitsu intensive training weekend with various black belt instructors. Could be why Vin Diesel sent his kids here to train while in town filming The Last Witch Hunter last year. Stout Training recently started offering the new class, All Levels Drills, focusing on repetitive drilling of fundamental movements and skills. There won’t be live training, where participants put to practice all their learned skills against a training partner who counteracts and fully resists with their own moves. Owner Warren Stout recommends that beginners don’t jump right into this class, but All Levels Drills is great for anyone from white to black belt. Pittsburgh FIT photo by Erica Gidley. This gym specializes in functional integrated training—vigorous workouts combining aerobic conditioning, weight training and body weight movements. Join their radical four-week basic | FIT program to learn the basics. 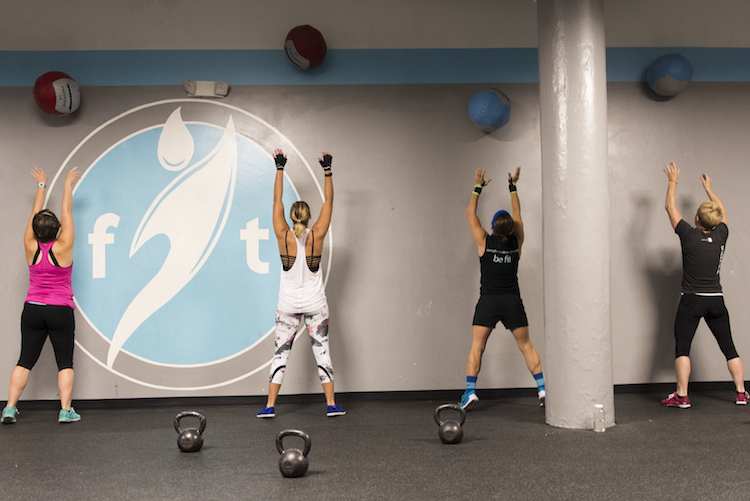 This is not your typical gym. For one, it’s housed in the Mine Factory—a contemporary art exhibition, event and studio space located across from the East End Food Co-op. And for another, they pride themselves on being a community. So your teammate and others in the class will cheer you on to get that last box jump before the clock runs out. And they’ll call you by name, too. 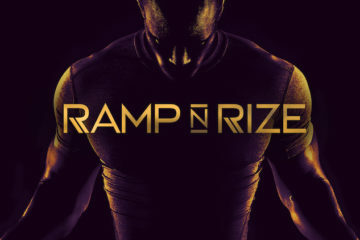 They recently added a new and exciting program called move | FIT, which combines gymnastics, animal flow (think: movement with both hands and feet on the ground) and parkour (think: obstacle course training) to teach the body to move more efficiently and create a more stable you. The approach places importance on the body’s basic, natural movements. Through these movements, we gain flexibility, prevent injury, build strength and improve skill. Coming from someone who has tried the basic | FIT program, it will change the way you see fitness. Not convinced? 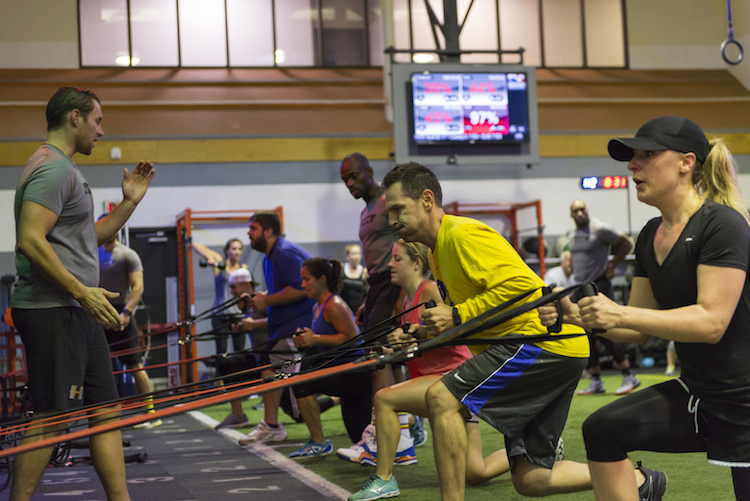 Pittsburgh FIT offers a free introductory class. Wolfpack Boxing Club. Photo by Erica Gidley for NEXTpittsburgh. Channel your inner Manny Pacquiao while burning up to 1,000 calories in one of the Boxing Circuit classes, open to all levels, at Wolfpack Boxing Club. Or, leave your desk and challenge yourself to a 45-minute, 12-Round Lunch Workout. 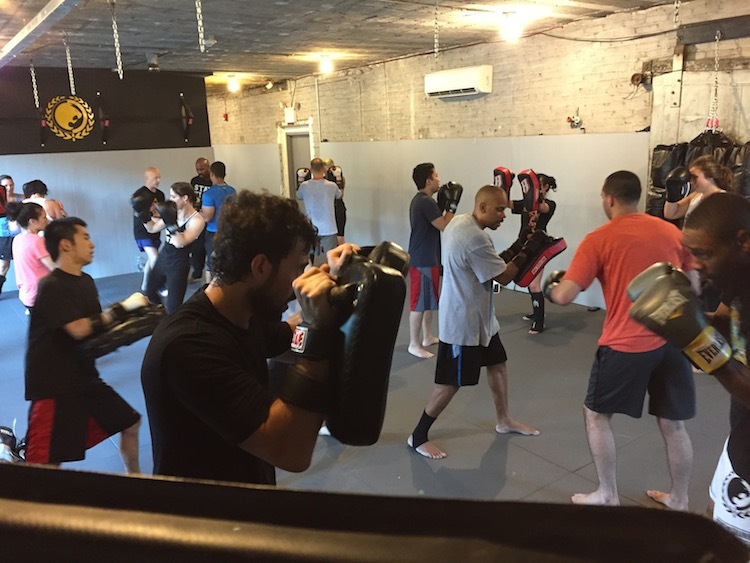 Wolfpack Boxing, the city’s largest boxing club, opened its doors in 1994 with the mission to offer professional boxing workouts that include punching the heavy bag, shadow boxing in the ring and mastering the speed bag. Intro Sessions teach participants the basics of amateur boxing. Move on up to Basics, get the real boxing experience in Intermediate and test yourself in Advanced. The club is perfect for any athlete looking to cross-train in a sport that requires speed, hand-eye coordination and endurance. And, ladies: if you sign up for Wolfpack Boxing’s introductory boxing class and bring a friend with you, you get a free class. 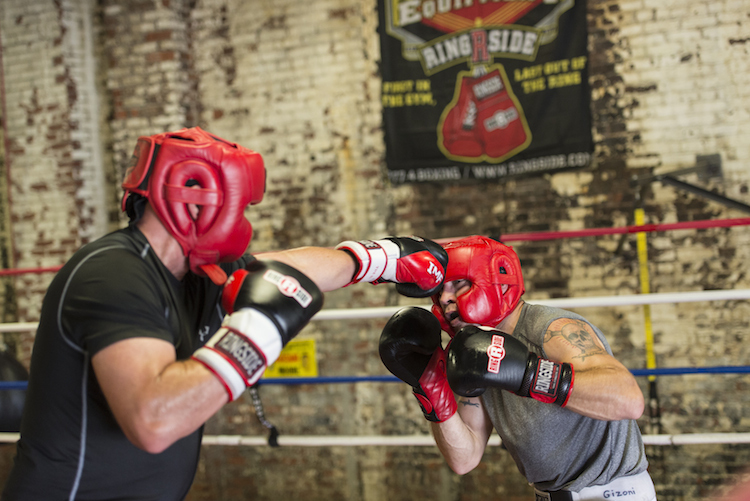 Wolfpack Boxing Club also hosts Golden Gloves Tournaments twice per year where their fight team challenges fighters from gyms across the tri-state region. The event attracts over 300 people – look for the next tournament in November. At Shape. Photo by Erica Gidley . Shape Training’s dynamic training atmosphere melds the best of the fitness worlds under one roof: heavy bag boxing, suspension training and high-intensity cycling. Work out with one of their experienced personalized trainers or in a class. The boxing class is an all-out assault on your very own 100-pound bag along with sprints, sit-ups, jumping jacks and more. Shape Training provides the gloves and hand wraps, so all you have to do is show up. And, forget everything you know about the bikes at your traditional gym – the RealRyder cycle actually moves by tilting and leaning. Feel the burn during this intense one-hour class. Or, get a full body workout using these cycles and the Surge 360, a machine that combines total body strength and conditioning, in their new Versus class. Shape Training goes beyond helping their clients get into shape – they are also committed to giving back to the community, holding multiple events throughout the year that benefit groups such as Autism Speaks, Girls Hope of Pittsburgh and the international organization Tweedside Community Foundation in Jamaica. To name a few. Got enough to get you moving for now? There’s more we haven’t mentioned, so if you have a recommendation, let us know in the comments below.